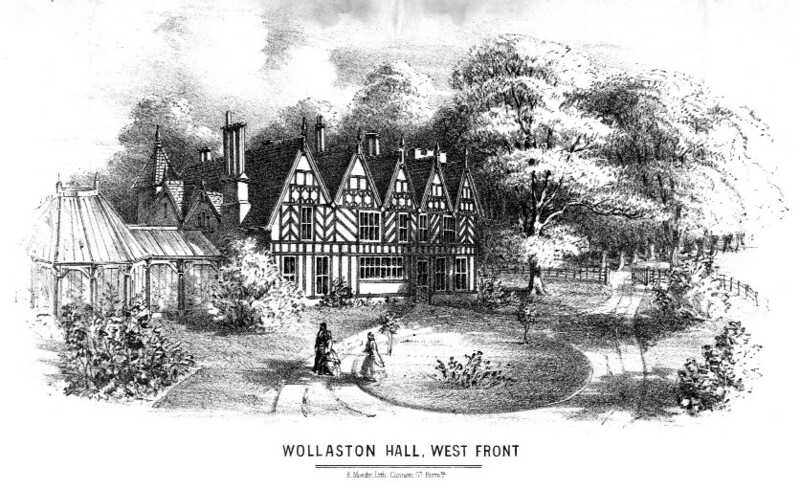 Wollaston Hall was the home of William Blow Collis for about ten years, between 1848 and 1858. During his time there he made a number of changes to the fabric of the building, including repositioning the front door. At the rear a projecting wing was built, containing a kitchen and offices. Collis also commissioned several engravings of his revamped home, which, like this one, portray a somewhat idealised view of the building and its grounds.